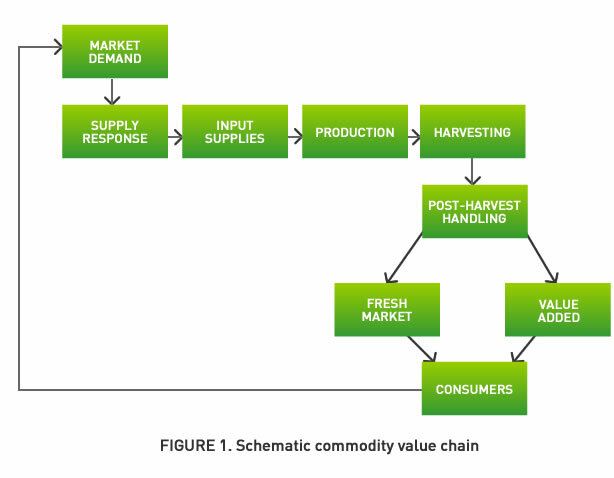 I-Under the Scheme of Mission for Integrated Development of Horticulture (MIDH) and Agricultural Marketing Infrastructure sub-scheme of Integrated Scheme for Agricultural Marketing (ISAM), assistance on capital cost is provided for development of integrated post-harvest management and marketing infrastructure including establishment of cold storage, cold chain logistics, Integrated Value Chains (IVCs) and for reefer vans. Further, under the MIDH scheme, retail outlets, rural primary markets, wholesale markets and terminal market complexes are also covered. II-For reducing post harvest losses of horticultural & non-horticultural produce, the Ministry of Food Processing Industries is implementing a Central Sector Scheme of Cold Chain, Value Addition and Preservation Infrastructure since 2008-09 under which assistance is provided for setting up of Integrated cold chain and preservation infrastructure facilities without any break from the farm gate to the consumer. III- The Government has been advocating agri market reforms by way of deregulation of marketing of fruits and vegetables outside the market yard to facilitate the emergence of alternative marketing channels like direct purchase of fruits and vegetables from farmers at their farm gate, private wholesale market and Kisan Mandis which will also promote private investment in development of post-harvest and marketing infrastructure. IV- For better post-harvest management ICAR institutions and Krishi Vigyan Kendras also impart training to farmers in relevant skills and exposure to best practices. In order to address the logistic gap between production clusters and marketing centres, the Government, in addition to the scheme mentioned above, is also taking various other measures including advocacy of reforms in State marketing laws to facilitate development of collection centres/ purchase centres in private and cooperative sector near the production cluster. Further, to provide backward and forward linkages, Government is promoting formation of Farmers Producers Organizations (FPOs) which will allow the benefits of aggregation both to farmers and to the processors/ consumers /wholesalers.